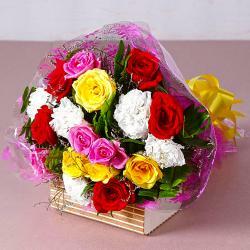 Product Consists: Bouquet of 18 Red Color Roses with lots of green fillers. You will appreciate these red roses immensely. 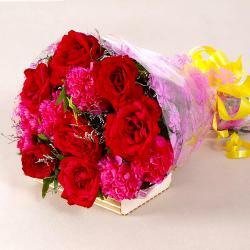 The arrangement contains a beautiful bunch of eighteen red roses that are a treat to look at. This bunch will floor any recipient in a matter of minutes. 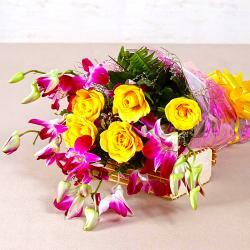 These flowers have been impeccably packed in cellophane for superior quality and also come with a matching ribbon bow on top for extra charm. 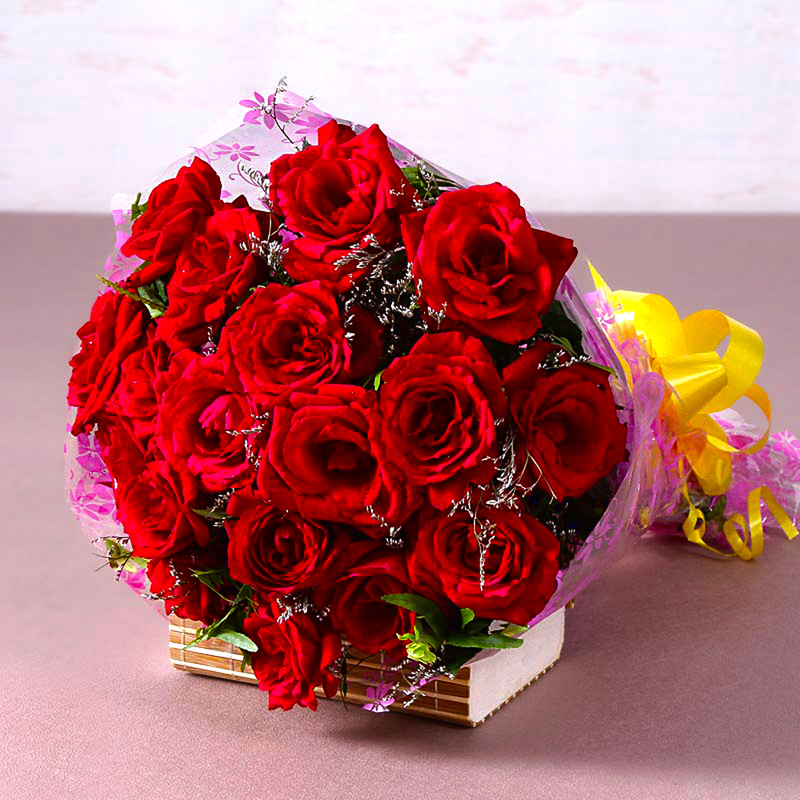 This pack is a good bet when it comes to surprising near and dear ones on occasions like Birthday, Anniversary, Housewarming, Baby Shower, Baisakhi, Republic Day and more. 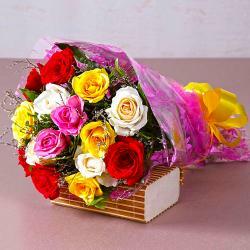 Product contains : Bouquet of 18 Red Color Roses with lots of green fillers.